Pavan "The Earl of Salisbury"
Il Caleidoscopio is a bright young early music ensemble based in Milan, and this is their debut album, featuring not the usual fare of trio sonatas and concerti grossi from their native country but a musical journey around 17th‐century England, centred on the London of Byrd and Playford, which was indeed one of the musical capitals of the world at the time. Their international outlook reflects their membership: the Australian Lathika Vithanage (violin), Noelia Reverte Reche from Spain (viola da gamba) and Flora Papadopoulos from Greece (harp), joined here by the lutenist Michele Pasotti. They have already given concerts at the major early music festivals in Rome, Milan, Ravenna and farther afield. 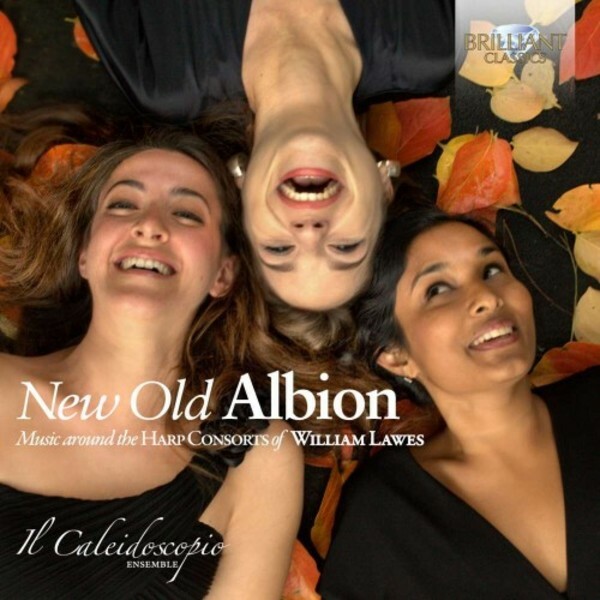 The album is themed around the chamber music of William Lawes, who moved this genre forward in England in the first half of the 17th century. He was equally the leading composer of dance, and of music for drama (including the masque), in the period 1630/45. Doubtless his career would have been even more distinguished had he not died in battle at the Siege of Chester in September 1645: King Charles mourned him deeply, and declared him �Father of Musick�. Listening to the serene and lively progress of these dances, so assured in harmony and fertile in melodic invention, who would disagree? Not that Lawes overshadows the other distinguished names here, whose various pieces complement the harp‐consort genre employed by Lawes. Locke�s Consort No.4 is subtitled �for several friends� but Byrd�s magnificent ground The Bells is originally for solo keyboard, while Dowland�s Prelude is for lute and Christopher Simpson�s E minor Divisions are for solo gamba, �for the practice of learners� but rich in the melancholy of the age.